Skip the hassle and let us handle your holiday decorating, both inside and outside of the home. Select from a wide variety of high quality, professional lighting and decorations and our trained staff will handle the rest. Once the selection have been made, we'll create a digital rendering of the project for your review. 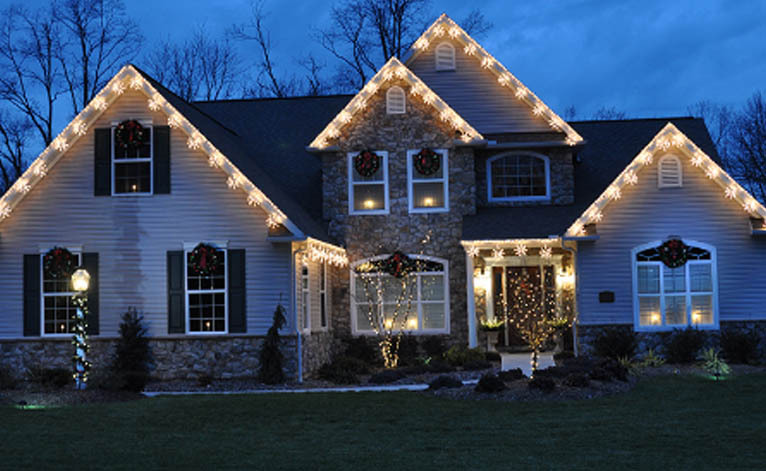 Once approved, we'll not only order, install and provide maintenance for your lights and decorations but we'll also take them down after the holiday season and store them for you. We guarantee all lighting for three years.